Officially Retired. 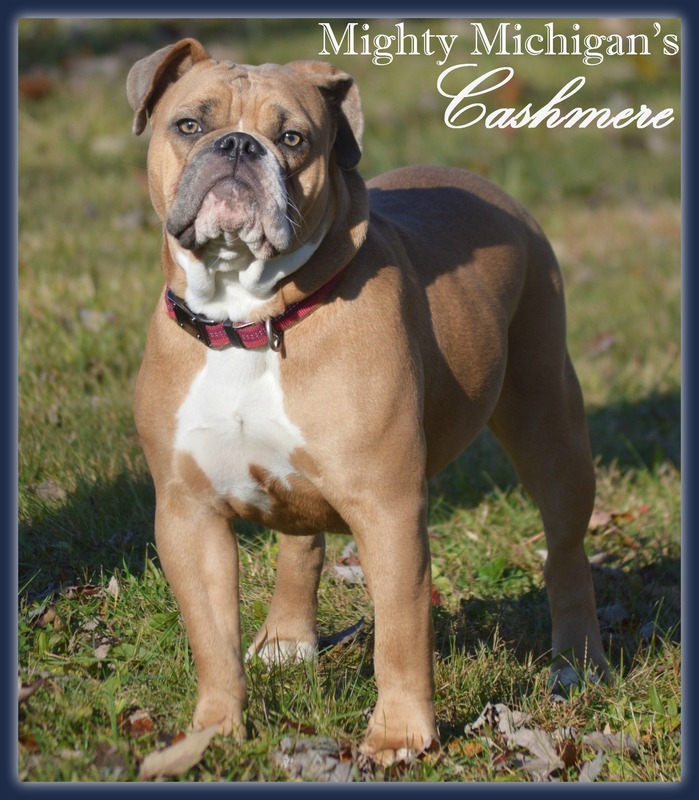 Cashmere is a second generation Mighty Michigan Bulldogge. She is a Blue-Ribbon, Generational blue fawn that carries tri. Her coloring and pedigree are top notch. She exceeds her sire, Poppa, and her granddam, Maddie, in appearance but has the same amazing athleticism. She is a sweet girl who loves to play (run/jump) and snuggle! She produced one Mighty litter with Diesel for us and kept a puppy back for the continuation of our program. BLUE RIBBON BRED.